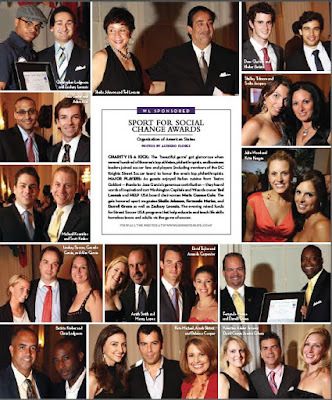 Charity is a Kick: The "beautiful game" got glamorous when several hundred of the area's top athletes, philanthropists, and business leaders joined soccer fans and players (including members of the DC Knights Street Soccer team) to honor the area's top philanthropists. Major Players: As guests enjoyed Italian cuisine from Teatro Goldoni - thanks to Jose Garcia's generous contribution - they heard words of inspiration from Washington Capitals and Wizards owner Ted Leonsis and HELP USA board chairwoman Maria Cuomo Cole. The gala honored sport magnates Sheila Johnson, Fernando Murias, and Darrell Green as well as Zachary Leonsis. The evening raised funds for Street Soccer USA programs that help educated and teach life skills homeless teens and adults via the game of soccer.